Location: Whitfield Sporting is based in Whitfield, Hexham. About your host at Whitfield Sporting: Stuart Maughan, Headkeeper. Whilst Whitfield is best known for its classic driven days - whether grouse partridge or pheasant - we always think some of the most enjoyable and memorable days here can be had rough shooting. 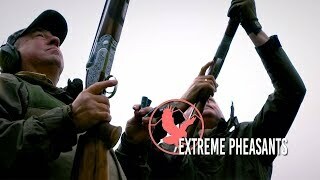 Due to the large number of driven days, there is always plenty of game about, with a great mix of pheasants and partridge as well as duck, snipe, woodcock, rabbits and hares. There is a minimum of 30 head of game for walked up days (rabbits are free). There is no maximum or minimum number of guns. 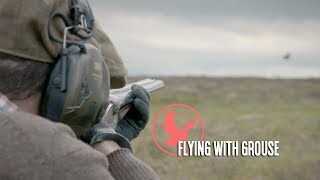 Given a favourable wind, some spectacular shooting can be enjoyed at very little cost. Walked up days would normally be accompanied by one keeper. Pickers up or extra dog men can be organised at extra cost. Whitfield is known for its fine autumn colours, and they provide a stunning backdrop to a day’s walked-up shooting on the hill. Game shooting experience at Whitfield Sporting: With some 15,000 acres of very sporting terrain to choose from, we are able to offer great sport throughout the shooting season, with grouse, partridge and pheasant shooting of the highest quality, as well as mixed days and rough days too. Not only can Whitfield provide some of the finest shooting in the country, it does so in very beautiful and completely unspoilt surroundings. The estate is located in the North Pennines Area of Outstanding Natural Beauty and situated around the West Allen Valley, sometimes known as “Little Switzerland” for its dramatic scenery. The estate is also noted for its fine trees. Click here for quick country guide. The shoot meets each day circa 9am to move off 9.15am from the Elks Head, Whitfield. Owned and managed by the Estate, we provide lunches for all the Whitfield Shoot days as well as providing accommodation for teams taking days from further afield. For information, please contact the host. Owned and managed by the Estate, we provide lunches for all the Whitfield Shoot days as well as providing accommodation for teams taking days from further afield. The Elk’s Head is managed by Phil and Alison Johnston for the Estate. To select and book the top suggested hotels and accomodation in the area when shooting at Whitfield Sporting click here. by car or public transport to Whitfield Sporting. Game licenses to shoot or take game birds are not required in the UK. You will require a shotgun licence or a person/loader next to you with a gun license. For more information on permits and travelling with fire arms click here. Don’t forget to write your review here: it really helps others choose their perfect trip. Thank you!